Dragon1 is a new platform for business professionals with specialized tools for Enterprise Architecture, Strategic Transformation, Process Modeling, IT Asset Management, IT Portfolio Management and GRC, to manage projects and the digital transformation of the company or organization. Download the new Product Summary [pdf] of Dragon1 here. We offer four editions of Dragon1: Dragon1 PRO, Dragon1 ENTERPRISE, Dragon1 CONNECT and Dragon1 EDUCATION. 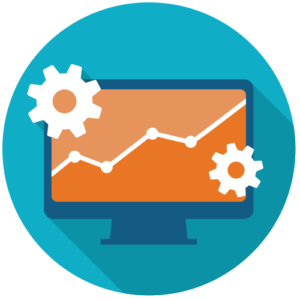 A Dragon1 subscription gives you access to the web applications on the Dragon1 platform to create and share dynamic diagrams, models, views and visualizations to make better decisions by the stakeholders. On the Dragon1 platform there are many web applications that in various constellations form different tools. If you have a Dragon1 ENTERPRISE license you get access to all the applications and can use Dragon1 as any tool. If you have a Dragon1 PRO license you have the most important features in the Architecture Repository and the Visual Designer, but you do not have access to the Management Dashboard. 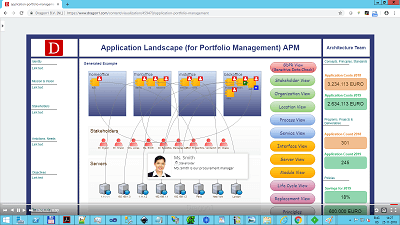 You can use Dragon1 as the following type of tools: Enterprise Architecture Tool, PM Tool, BPM Tool, ArchiMate Tool, UML Tool, TOGAF Tool and Concept Design Tool. The Dragon1 platform provides you with web applications with which you can do many different things. 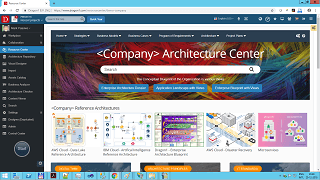 The web applications are: Digital Workplace, Architecture Repository, Visual Designer, Resource Center, Content Viewer, Catalog, Management Dashboard, ePortfolio, Search and Model Atlas. Next to the software we also provide consultancy in Enterprise Architecture, Business Modeling, Project Management and Cyber Security. The consultancy services we provide are: Blueprinting, Landscaping, Roadmapping and Quick Scans. Everyone can do the guided demos on the dragon1 platform for free. Experience in a few clicks how easy it is to create, for example, an application landscape. We have developed an international recognized open Enterprise Architecture Method. More and more often this method is required in job roles. We provide the following training courses: Dragon1 Certified, Dragon1 Bridge and Dragon1 Foundation. We have written several books on our open Enterprise Architecture Method. The available books are: Dragon1 Fundamentals, Dragon1 Textbook and Dragon1 Architecture Principles. Dragon1 is used by a variety of roles in the organization such as Architects, Analists, Designers, Managers, Directors and Boardmembers. Here we list for the most common roles and the different products used. Almost every organization today has architects, from IT architect, to business architect.